The country’s exports rose 12.6 percent year-on-year to $1.39 trillion in the January-July period while imports grew 21 percent to $1.22 trillion, the General Administration of Customs said on Wednesday. In July, exports rose 12.2 percent year-on-year to $215.57 billion, while imports jumped 27.3 percent to $187.52 billion. Huang Songping, director-general of the administration’s Department of Statistics, said China’s foreign trade performance was stable during the first seven months of 2018 thanks to growing domestic demand, new policies to stimulate exports and narrowed trade surplus figures. The country saw more balanced import and export development during this period. Get delivered once a week to your inbox, a hand-picked list of the latest news on international trade compliance issues as well as the latest articles from George W. Thompson. 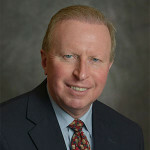 George W. Thompson specializes in export and import regulation and international business counseling. He is an Adjunct Professor at George Mason University School of Policy, Government, and International Affairs. He has written several important works on international trade including "Transnational Contracts" published by Thomson Reuters, "Intellectual Property Rights and United States International Trade Laws" (co-Author) published by Oceana Publications, and "Exporting: Regulations, Documentation, Procedures" published by the Global Training Center. He can be reached by email at gwt@gwthompsonlaw.com or by phone at 202-772-2039. His office address is Thompson & Associates, PLLC,1050 Connecticut Avenue NW, Suite 500, Washington, DC 20036.